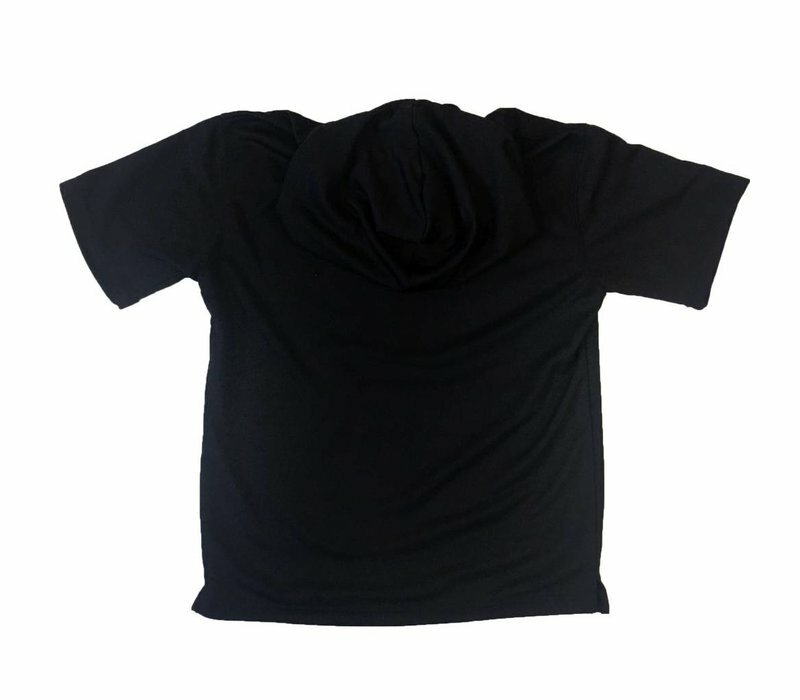 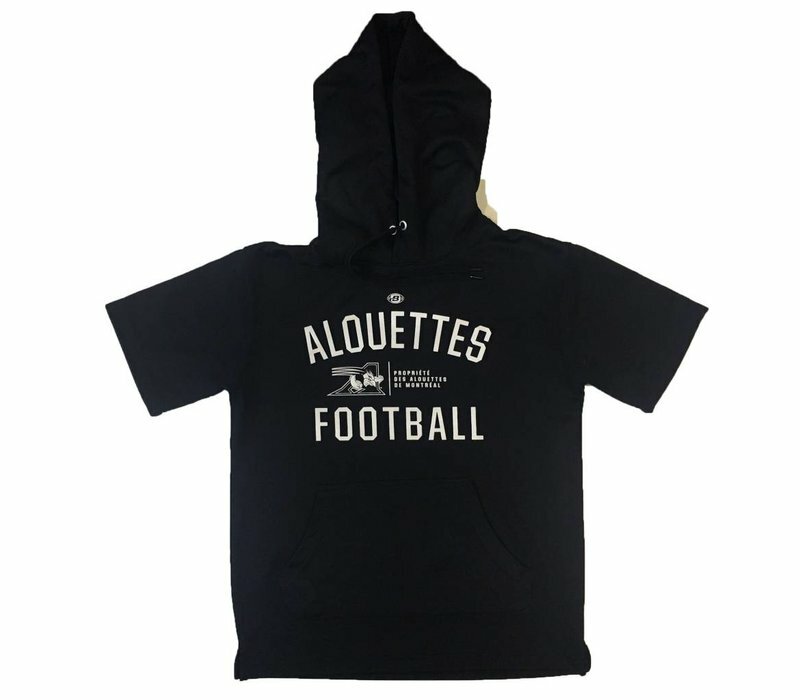 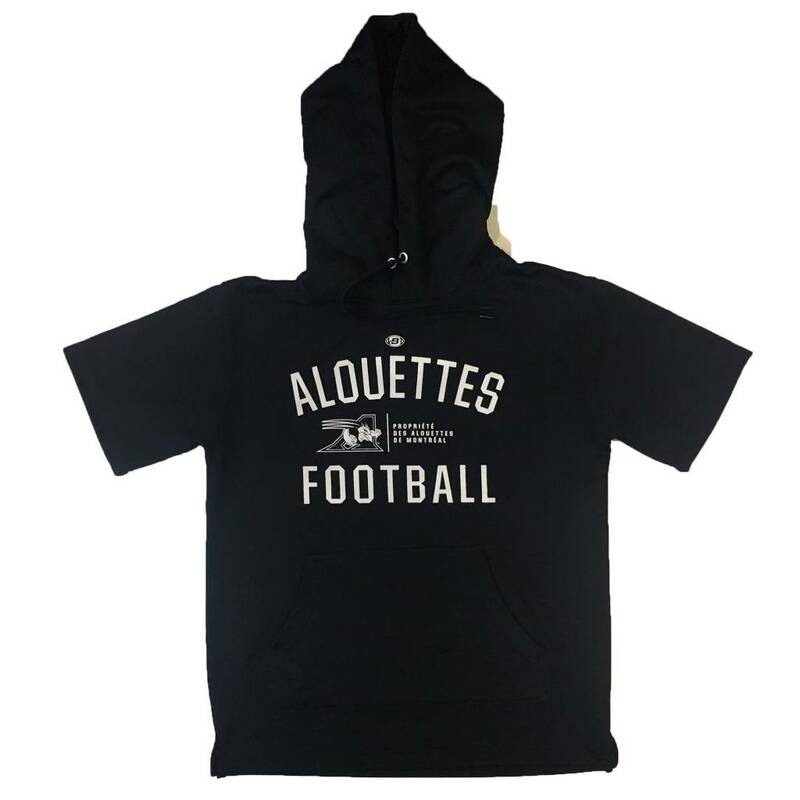 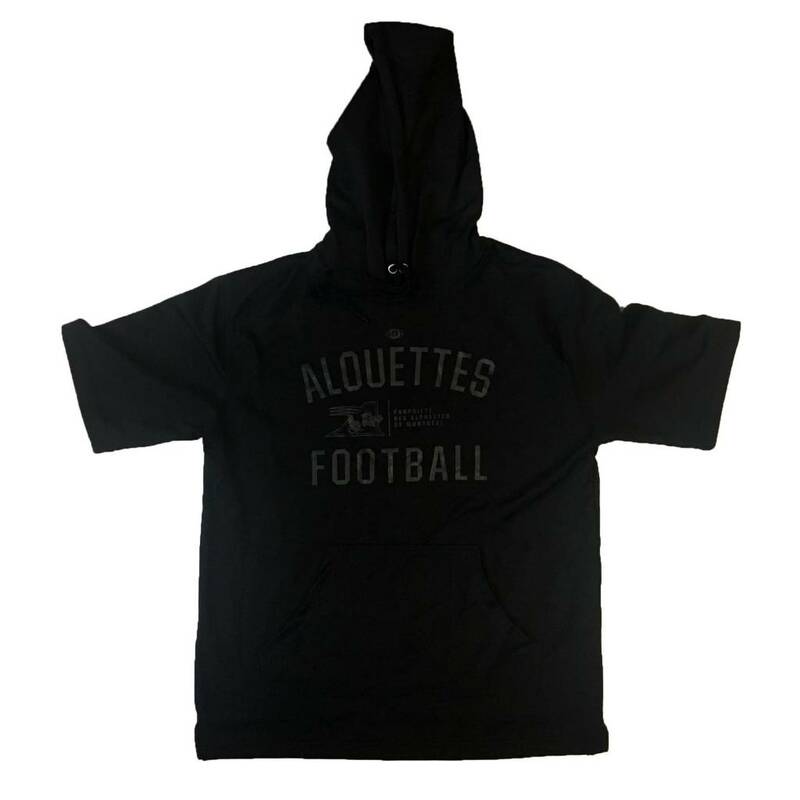 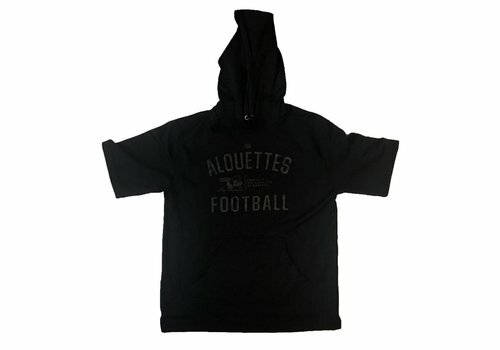 Men's black hoodie with short sleeves featuring printed logo and team name in white. 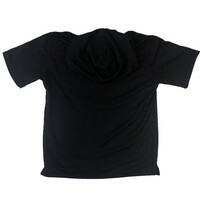 Men's white t-shirt with printed design on the chest. 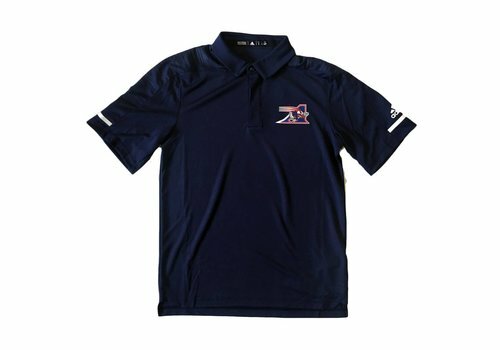 Men's navy polo with three buttons. 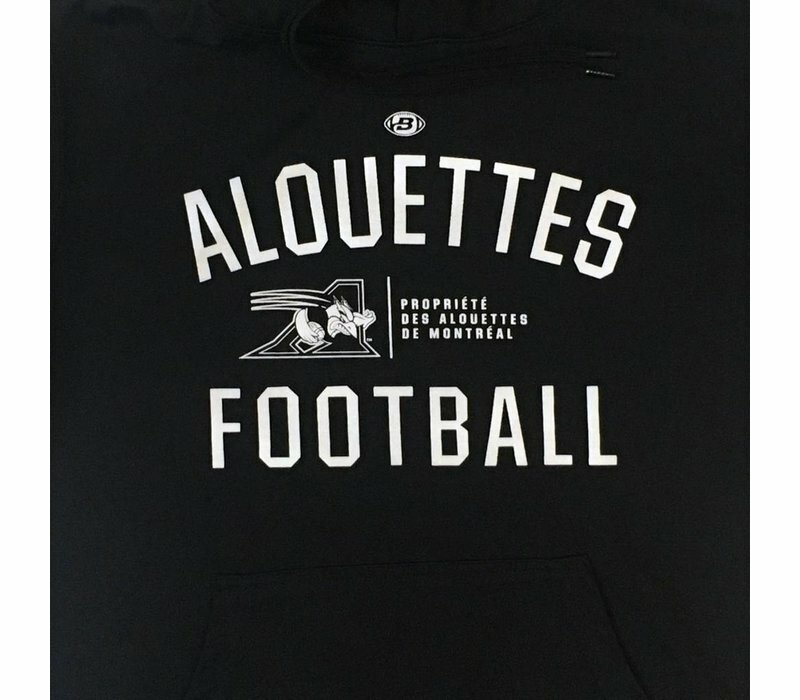 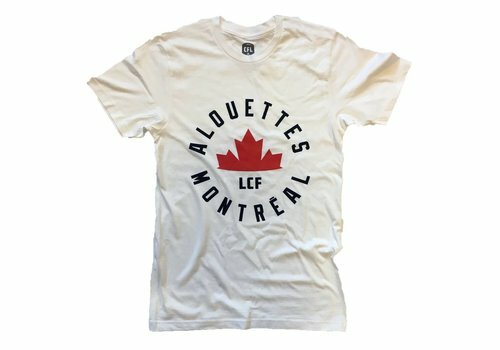 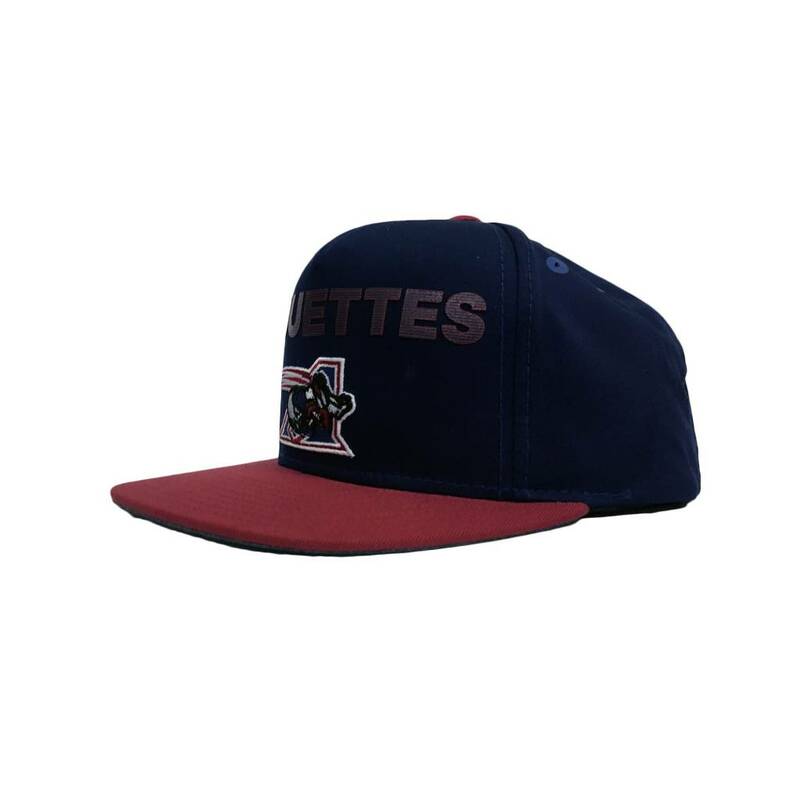 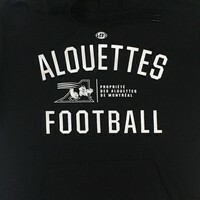 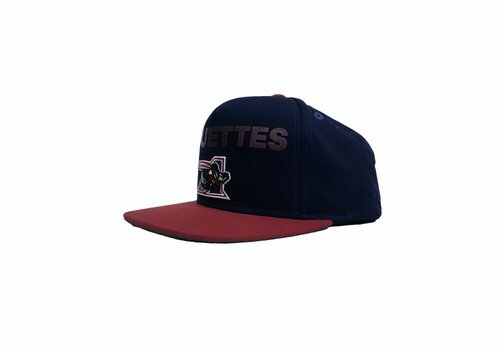 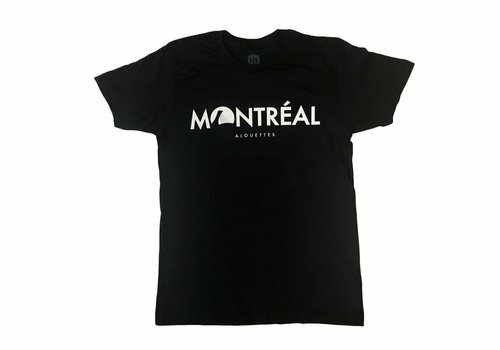 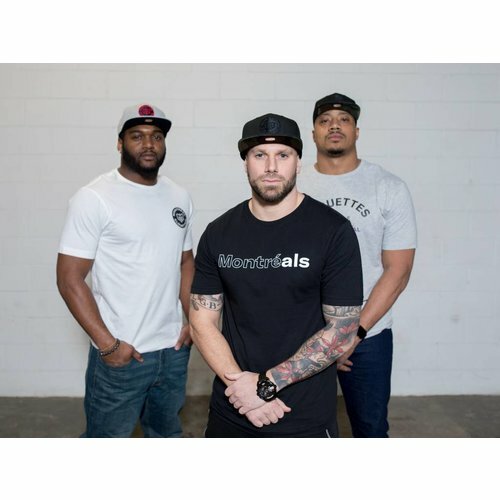 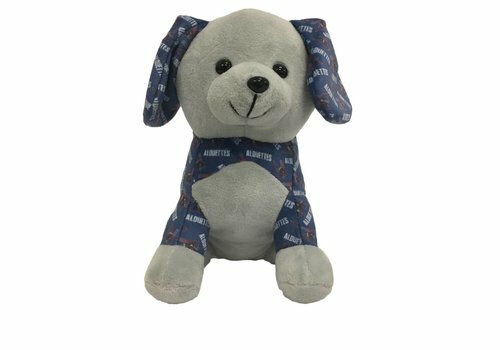 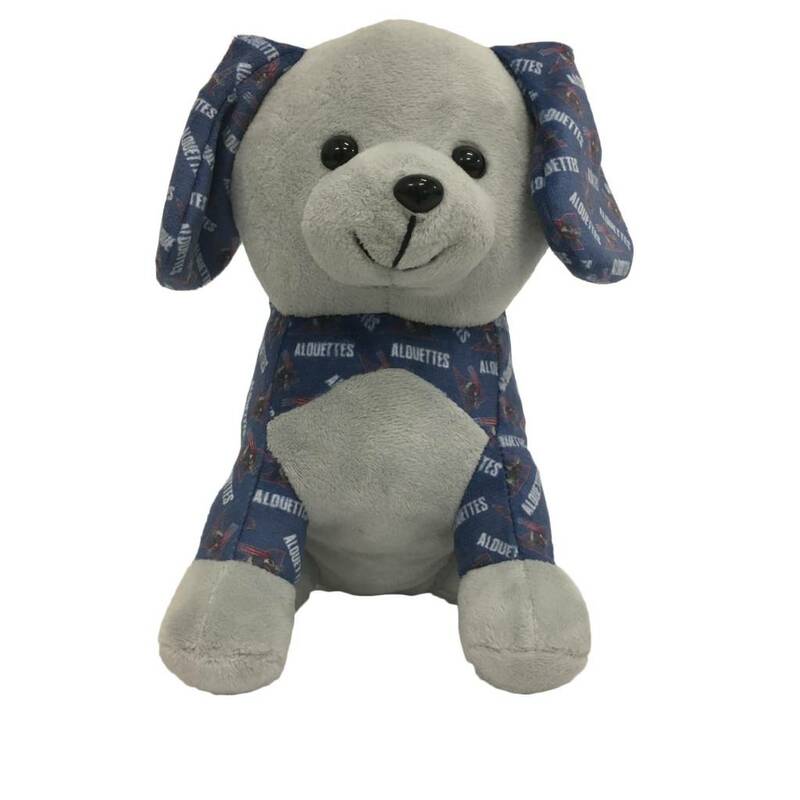 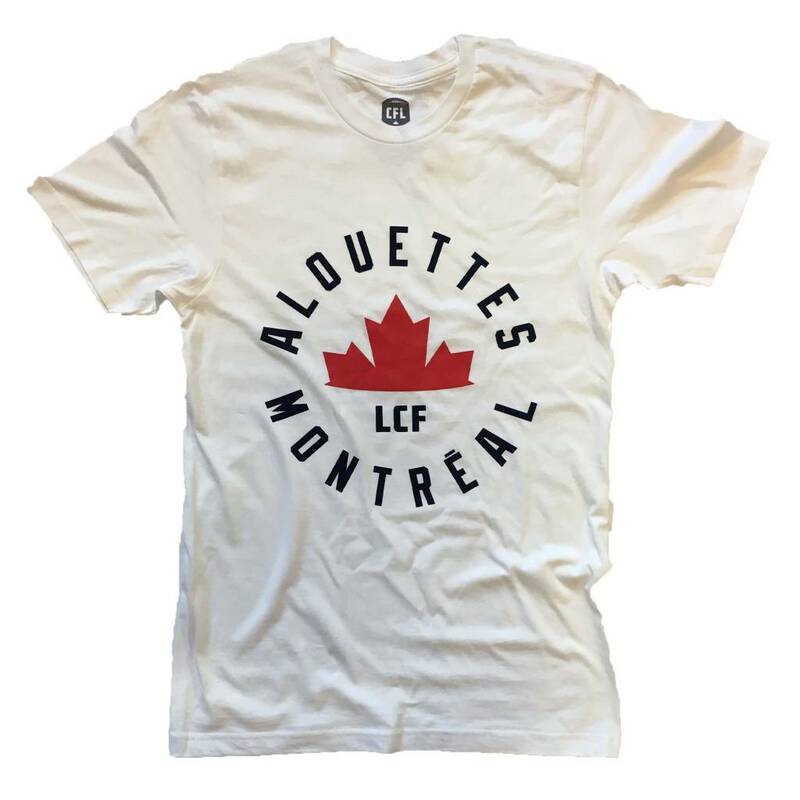 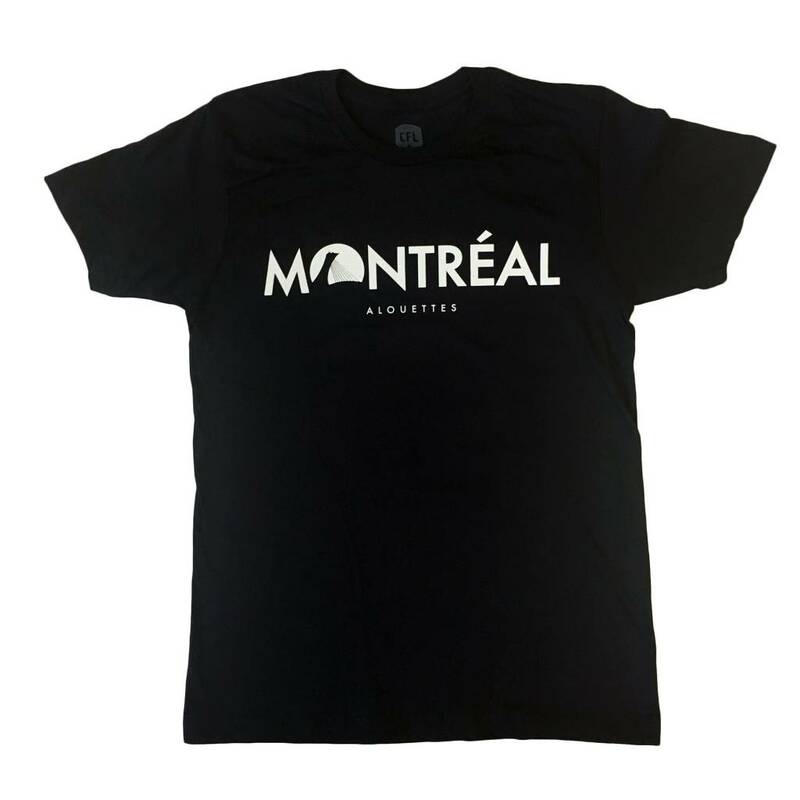 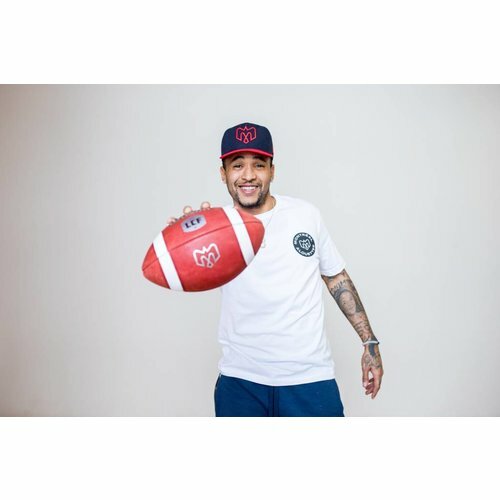 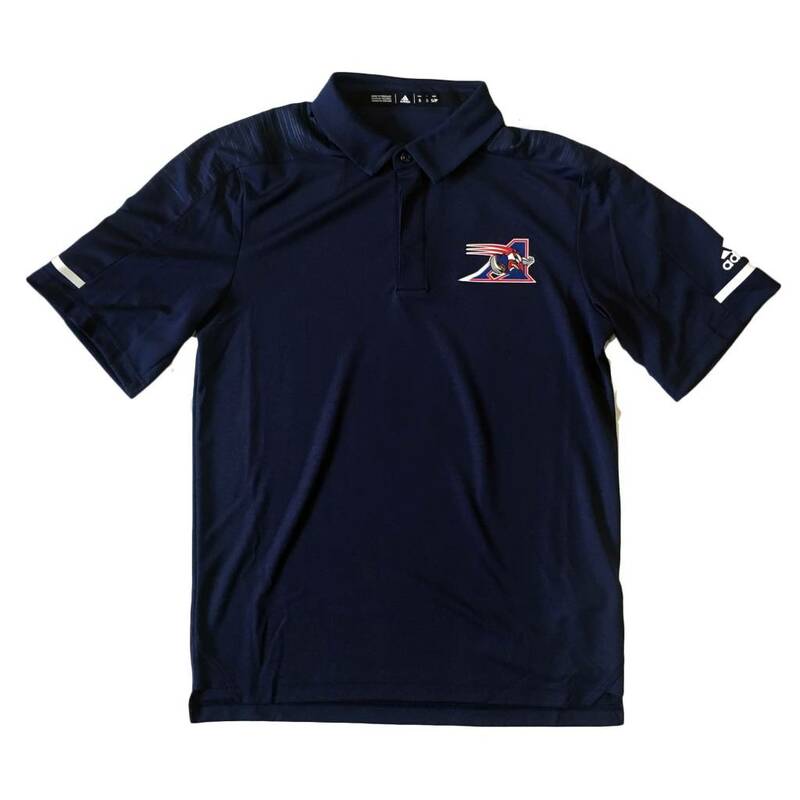 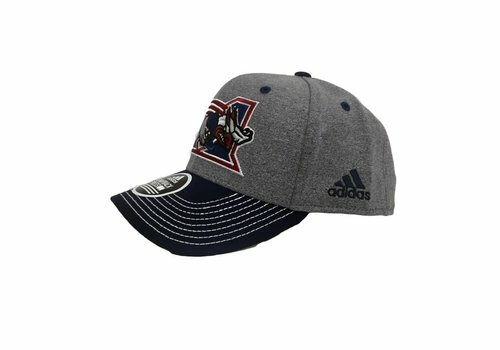 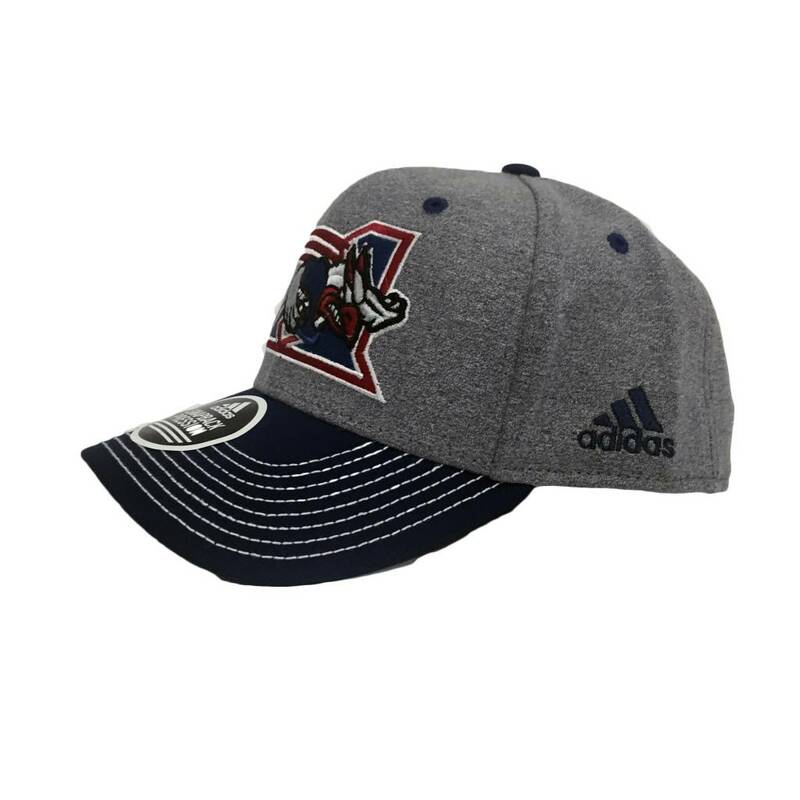 The Alouettes logo is printed on the left breast, the Adidas logo and the CFL logos are printed on the sleeves.